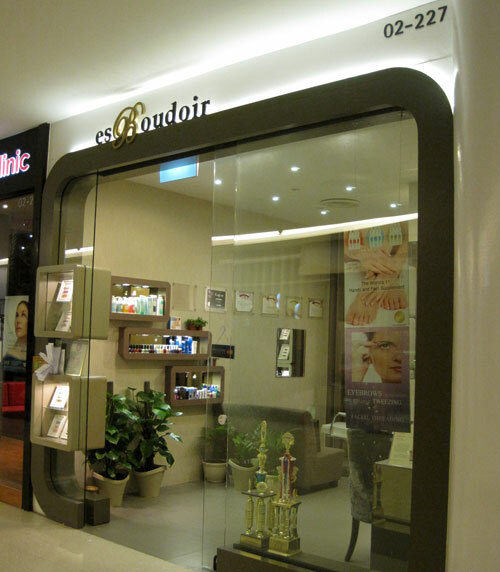 hi Everyone, look what i found at Vivocity #02-227… es Boudoir!!! I decided to try eyebrow threading because i heard a lot of raves that the skin will feel very smooth. Indeed, my skin really feel very smooth after the eye brow threading. The lady is very professional and honest to share with me that there will be more pain felt if i am a FIRST-TIMER. Actually when it is over, i felt that it is in fact not that painful. The pain is bearable. i felt at ease as i felt i am in good hands. Interested to give it a shot just like me? Call T : 6275 2868 to make your appointment.